When you say “Made in the USA”, naturally you get our attention. This was the case when I received one of several media blasts from the 2018 SHOT Show that showcased Gatorz Eyewear. Intrigued, I followed up and requested additional information. The response was swift, even allowing for an opportunity to interview Gatorz Eyewear Brand Manager Andrew Fontes, whom has been with Gatorz for 10 years, having previously served as their outside sales rep, regional manager and global sales and marketing manager. In the days leading up to the 2018 SHOT Show Industry Day at the Range, I did my due diligence and began to research Gatorz. I quickly found out that they are no stranger to the scene; in fact, they have been around since 1989. 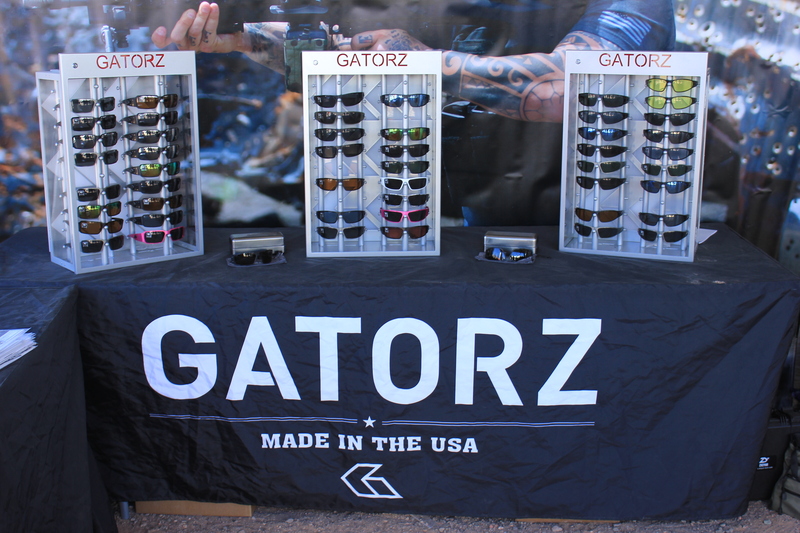 Headquartered in Carlsbad, California, GATORZ Eyewear is the preferred eyewear of U.S. Military Elite Special Force Groups, law enforcement personnel, skydivers, functional fitness athletes, action sports fans and outdoor enthusiasts worldwide. 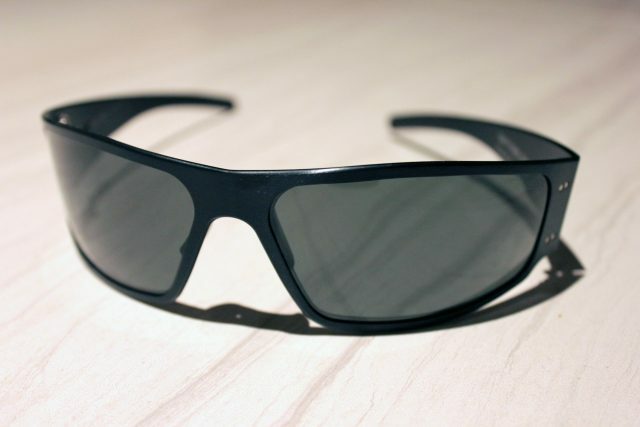 This first of its kind, American made aluminum sunglass has become a staple of the communities it serves, with its lightweight, durable frames and superior optics. It all started with an idea to develop the best sunglasses on the planet by using military grade 7075 aluminum. 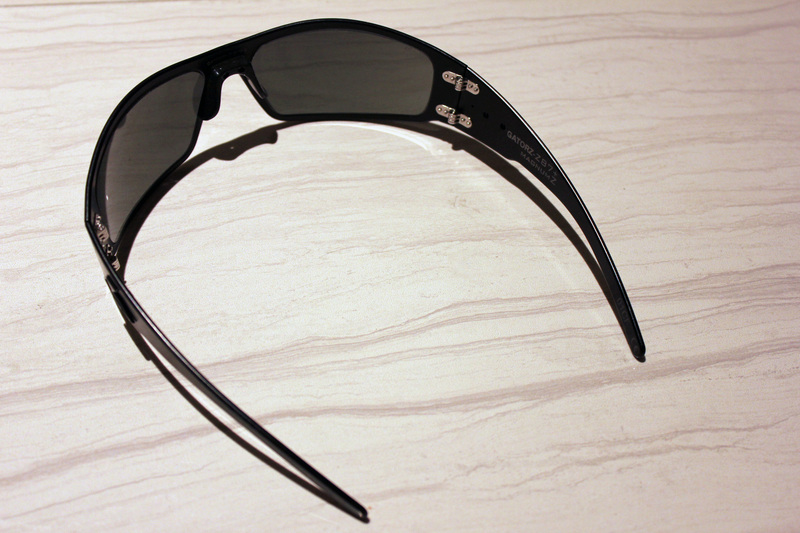 They are then molded around 2.0 mm polycarbonate lenses that offer 100% UV protection. 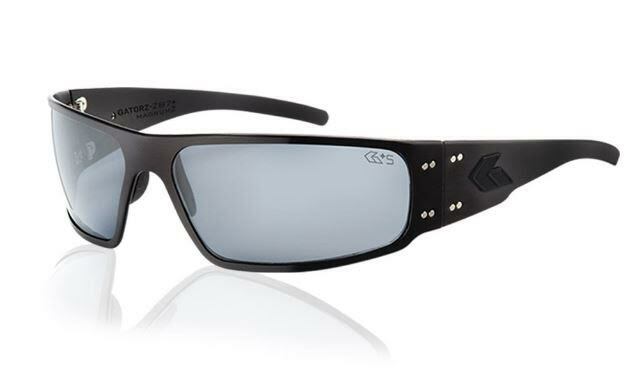 On this date, Gatorz made the announcement that they are ready to release the new Magnum Z, which is the first sunglass in their line to meet the vaunted ANSI Z87+ rating. Using the very same T-6 grade aircraft aluminum that the US Government uses in their military aircraft Gatorz created a frame which passed the ANSI Z87.1-2010 Impact Resistance Test. Gatorz then paired that frame with a very unique tension mounted lens that not only blocks 100% of the UV rays and is distortion free, it also is capable of withstanding the impact of 12 gauge buckshot fired from a distance of 45 feet! The finishing touch is a nosepiece made out of silicone, so it will not yellow after repeated exposure to the sun. It also contains a thin metal insert, which allows it to be adjusted to fit any nose. We were afforded an opportunity to spend the day with a set of Gatorz, and boy, did we ever. We anxiously donned our new specs and after the initial awe about how lightweight and how remarkably low-profile they were, we set off to do what we came to do: shoot guns, and lots of them. Now, when I say lightweight, I mean so light that you forget you were wearing them! It was when we arrived at the first of several stops along our route and prepared to head to the line that I realized I had already forgotten they were on. When I wear “eyes” at the range, I usually either have to adjust my shooting glasses around my muffs, or not wear the muffs at all, having to opt for those foam ear plugs that just don’t work as good as my earmuffs. I was pleasantly surprised when I donned the muffs and there was absolutely no adjusting needed! They fit perfectly fine over the Gatorz, allowing for trouble free prep prior to stepping up to the line. Thankfully, we didn’t have to try out the impact resistance, but after a full day’s use, I can confidently say that I could truly trust those Magnums to protect my eyes. That’s probably the best part of this whole story; knowing that we finally have a domestically made line of eyewear that is known and trusted in our industries and that continues to up their game. Did I mention they were made in the USA? 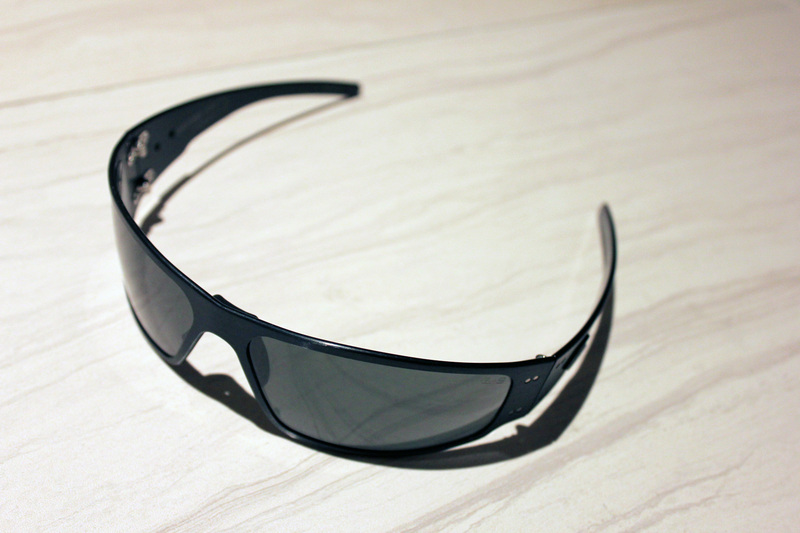 January 22, 2018 (Las Vegas, Nevada) – Today, GATORZ Eyewear is proud to announce the release of its Magnum Z, an American made aluminum sunglass meeting the American National Standards Institute (ANSI) Z87+ rating. 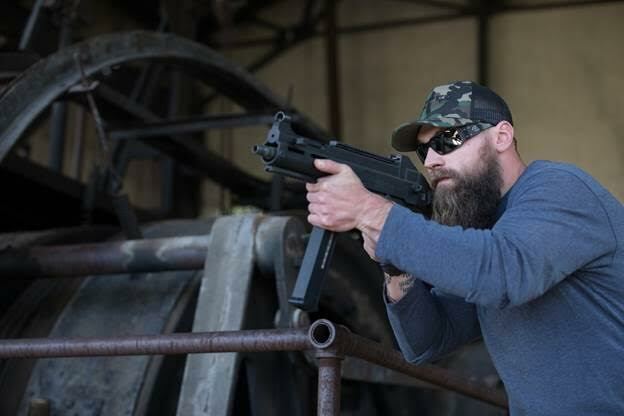 GATORZ, the preferred eyewear of U.S. Military Elite Special Force Groups, Law Enforcement personnel, Skydivers, functional fitness athletes, action sports fans and outdoor enthusiasts, underwent intensive testing with the Magnum Z that offers superior optics coupled with high-velocity impact lenses.